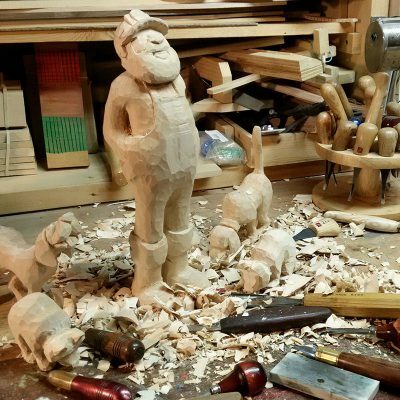 If you’re thinking about getting started with wood carving, you’re probably wondering what you need. To begin with, you need a good imagination. Can you look at a piece of wood and see something in it? Can you imagine a bird, a human figure, a face or a cartoon like figure? If you can, you’ve taken the first step in the process already. You really need only two things to get started; a piece of wood and a knife. Do you need one of those fancy $50 wood carving knives? No! A good pocket knife will do, or there are some inexpensive wood carving knives less than $10 that are excellent and of good workmanship. But remember, wood carving can be addicting. If the bug bites you, don’t be tempted to spend a lot of money on tools—you don’t improve your carving skills by purchasing more tools or more expensive tools. What will help you improve your carving skills most of all is to practice and to carve with other more experienced carvers. Look for wood carving clubs in your area and join one. What kind of wood should you use? The best wood carving is the kind that you can easily obtain. 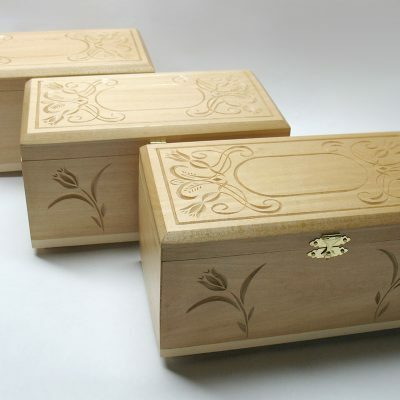 Most carvers prefer basswood, which is tight grained and holds together well when carved. If it grows in your area, it can be cut and dried with little trouble. 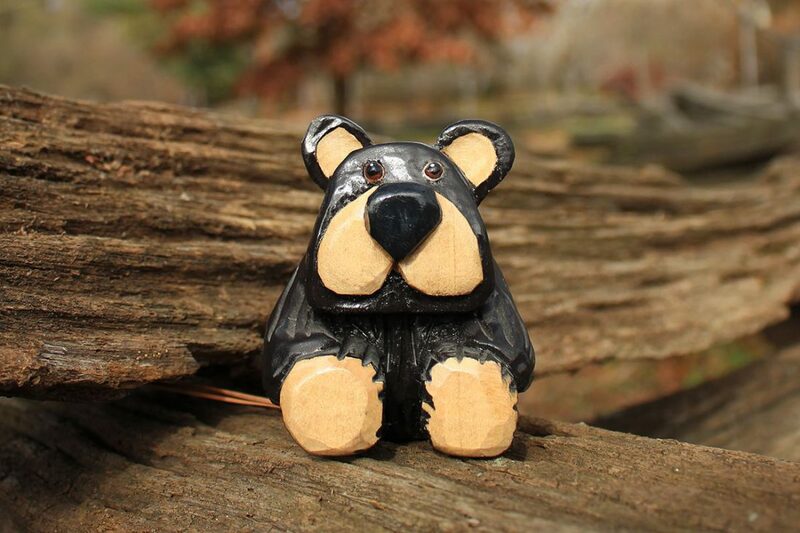 Basswood can also be purchased by mail order or picked up at wood carving shows. Also if there’s a sawmill near you, you may be able to pick up some basswood there. Call ahead and speak to the operator to see if some can be aside for you. Another good option is walnut. It carves easily but is a little brittle. Since it can split or break fairly easily, you’ll need to keep this in mind when working with it. But walnut’s beauty makes up for any difficulty in carving it. If you do use it, think about using a clear finish to showcase the natural beauty of the wood. 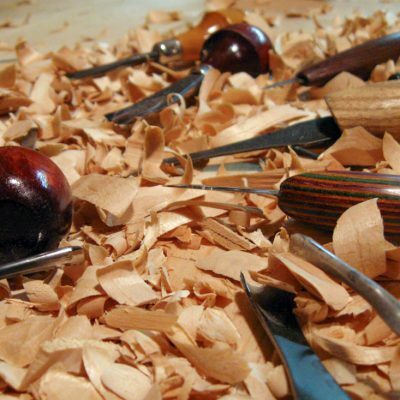 As you might imagine, there are some hazards associated with wood carving, since you handle razor-sharp knives and other cutting tools. You might as well get a good supply of bandages ready because you will get cut—possibly seriously if you’re not careful. When carving, always keep safety in mind. Also, think about the safety of others. Make sure not to leave your knives or tools laying around with the sharp edges exposed. Whatever tools you decide to start with, and which ever type of wood you choose for your very first project, take your time, practice, be safe, and most of all, have fun. If you have any comments or questions about getting started with wood carving, please leave them in the comments section below. If you like this article and think others would find it beneficial, please share it using the share buttons on this page. Please take a look at our other articles in the Library. Love your website. Just getting in to carving, and your info is being very helpful. I just completed the boot, and I am starting another.